Time for some adult fun! 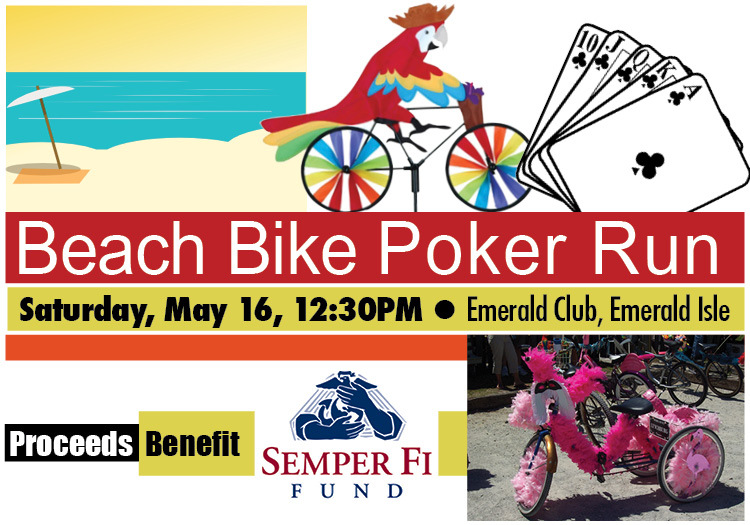 Join us for the annual Beach Bike Poker Run on Saturday, May 16 in Emerald Isle. It’s only $20 per person to ride. Proceeds benefit the Semper Fi Fund. – Raffle for lots of cool stuff!